In ”The Central Eurasia Discourse” discussion forum issues concerning among other things geopolitical conditions, socio-economic developments, and identity formation in Central Eurasia, were treated. Borders, communication and language, identity, and power relations in the Eurasian cultural and political sphere will remains on the agenda, as we now broaden our forum and take a closer look at Silk Road histories from the point of view of both time and territory. For this purpose, seminars and a workshop will be held under the title of Rethinking Global Histories for the Present: The Land and Maritime Silk Road in Central Eurasia and the Indian Ocean. In her post titled ‘Regionalism versus Networking in Central Eurasian Space’ the SIPCATS Director discusses the geopolitical position of the ex-Soviet Central Asian states and gives an overview of initiatives for cross-border cooperation in Central Asia in the post-independence period. 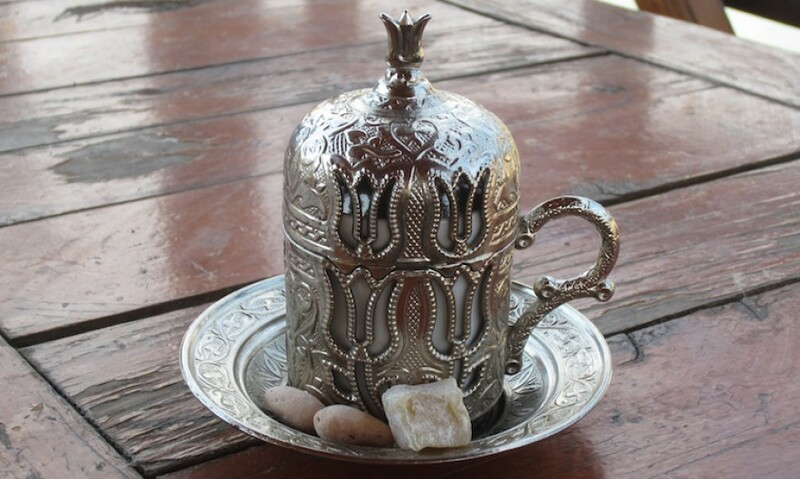 In ‘The Role of Language in Identity Formation’, MA student and SIPCATS Research Assistant Azize Güneş focuses on three chapters in Historiography and Nation-Building among Turkic Populations (2014). For a theoretical model of the involvement of language in identity formation, she suggests a synthesis of the concepts of narrativity, performativity and memory presented in these three chapters. Defence analyst Michael Fredholm revisits his own chapter in Prospects for Democracy in Central Asia (2005) for a reevaluation of ‘Russia as a Guarantor of Security’. In “The Economic Impact of Labour Migration on Central Asia and Russia”, Olga R. Gulina from Institute of Migration Policy, Moscow, focuses on the state of labor migration in ex-Soviet Central Asian countries and discusses the impact of human mobility on the GDP:s of the countries involved. In ”The Fethullah Gülen Movement in Central Asia after the Failed Military Coup in Turkey” Bayram Balcı from CERI Sciences Po, Paris, writes about the nature of the Gülen movement’s activities in Central Asia and the Caucasus, where Turkish authorities are now intensifying their efforts to oust the Gülenists from these regions, too. In “Prospects for Democracy in Turkey”, SIPCATS Research Assistant, MA Patrick Hällzon highlights the differences in attitude against the Gülen movement, from a time where it played a major role in spreading “Turkishness” and promoting Turkic cooperation in Central Asia, to the creation of its present post-coup image of scapegoat. Continuing on the subject of Fethullah Gülen, Dr. Fernando Rosa, visiting scholar at Asian Studies Center, Boğaziçi University, Istanbul, provides a global perspective on the spread of the Gülen movement outside of the Turkic world and reflects on the impact of religious movements on politics and socio-economic development, in “The Fethullah Gülen Movement on the International Arena”. Dr. Zaur Gasimov from the German Orient-Institut Istanbul (OII), author of ”History-Writing and History-Making in Azerbaijan: Some Reflections on the First Two Decades of Independence” in Historiography and Nation-building among Turkic Populations (2014), revisits the developments in research, education and history-writing in Azerbaijan during the past three to four years discussing state influence and researchers’ affiliation with the ruling party. 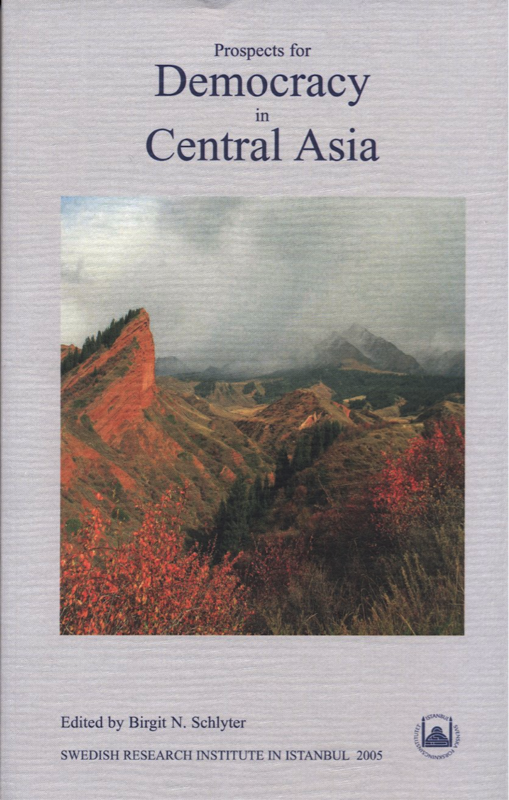 In our first announcement about the discussion forum, two anthologies produced within the framework of the SIPCATS program were presented as a point-of-departure for a revision of issues treated in these volumes and for further remarks on the latest developments in Central Eurasia. Both of these books are comprehensive volumes as regards both regions, topics and disciplines. Prospects for Democracy in Central Asia, which was published as early as 2005, has its origin in an international 3-day multidisciplinary conference held in 2003 devoted to such issues as political pluralism, civic space and security at state and interstate levels as well as sociocultural conditions at grassroots levels. 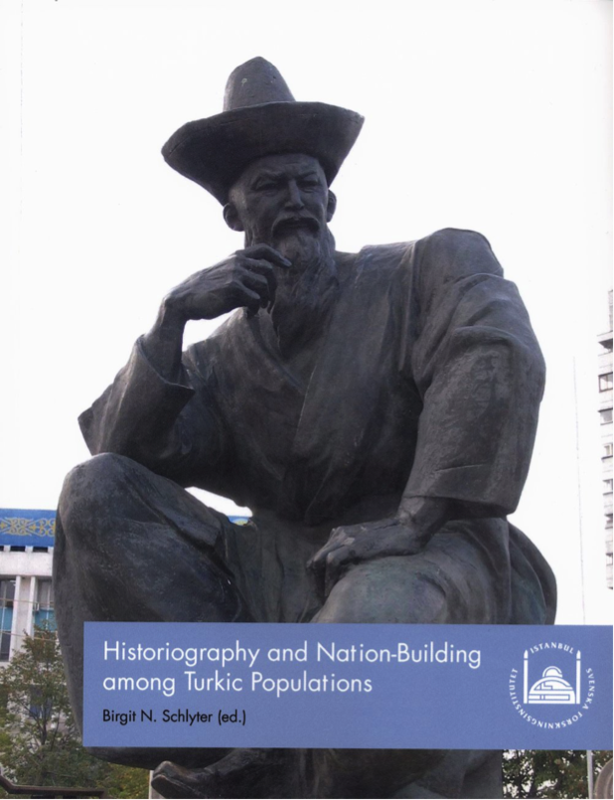 The more recent Historiography and Nation-Building among Turkic Populations and Prospects for Democracy in Central Asia from 2014 contains papers presented at workshops and conferences co-organized with partner institutions in Asia on issues related to nation-building and the want for revisited historiographies among Central Eurasian peoples after the cold-war era. In addition to the two aforementioned books I want to introduce one more volume published from our program: The Shanghai Cooperation Organization and Eurasian Geopolitics: New Directions, Perspectives, and Challenges (2013). 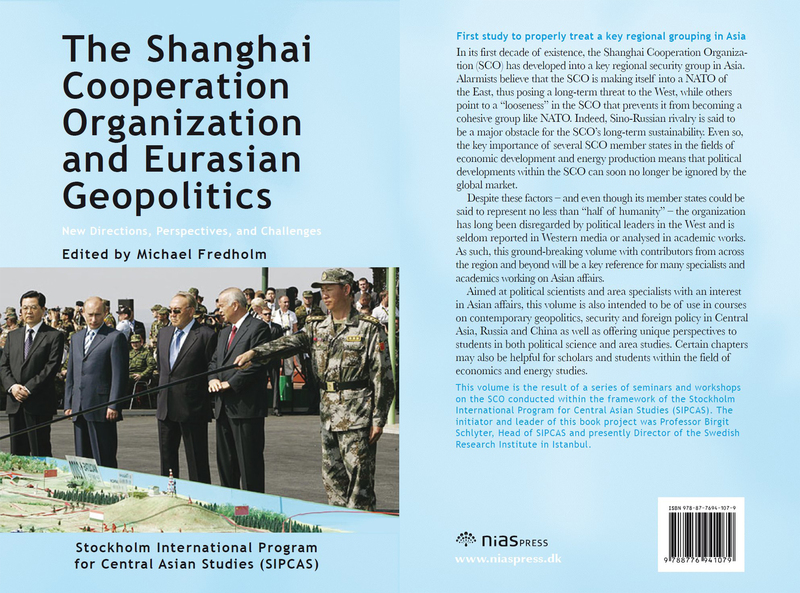 In contrast to the former two volumes this publication focuses on one particular issue – the Shanghai Cooperation Organization – however, from a great variety of aspects. We are back to inter-state relations, this time within a rather well perceived regional dimension, as becomes clear from my own contribution to the first round of published comments. 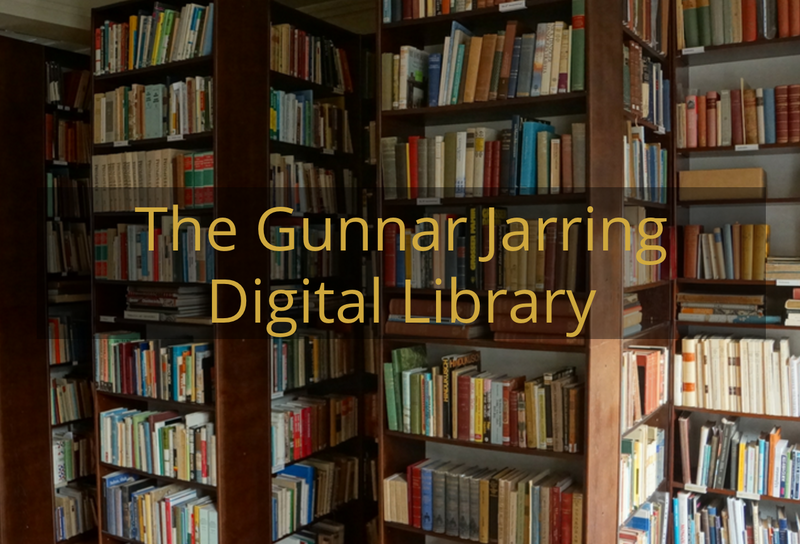 The entire book can be retrieved from http://norden.diva-portal.org/smash/get/diva2:876570/FULLTEXT01.pdf. It is also registered on academia.edu with a list of contents and contributors and an extract from the preface. Please, do not hesitate to contact us (sipcats.webmaster@srii.se) for any questions or comments.